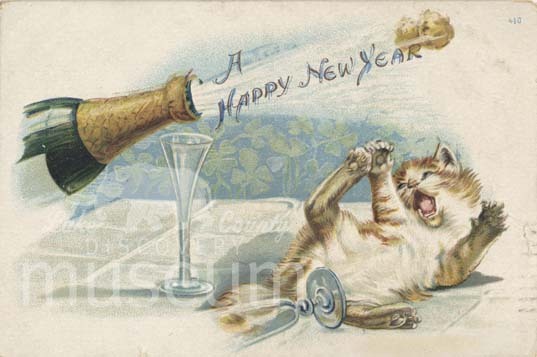 This week's Link Dump is sponsored by the Cats of the New Year! Where the hell is Camelot? As usual, some people think they know. What the hell is the Wilkes Land Anomaly? Who the hell was Miss Pelham? Watch out for the Mystery Man of Tyrone! Watch out for those New Year's comets! We're still pondering the murder of Rasputin. A how-to guide for mudlarking on the Thames. The man who changed the English landscape. The suicide of a famous 17th century chef. The life and times of a New York City fire cat. "Painless Parker, Dangerous Dentist." Someone has to write that novel. John Quincy Adams looks at the New Year. The murder of Rasputin in the British Archives. The only woman hanged in South Australia. The Chinese Joan of Arc. Getting the New Year off on the right foot. Literally. Marriage counseling from beyond the grave. The execution of a lipstabber. 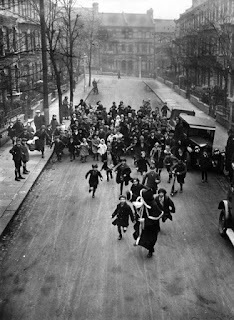 Christmas library closures in the Victorian era. There are people out there translating Dr. Seuss into Latin. A discovery related to the Egyptian Old Kingdom. Scientists are finally accepting that animals have consciousness. They are not happy about it. The kind of Christmas gift no one wants. A murder on Christmas Eve. I do not find it encouraging that brainless slime handles life better than I do. The ghost of Polly Peggs. A good reason to avoid Chicago. Christmas in a Victorian emergency room. 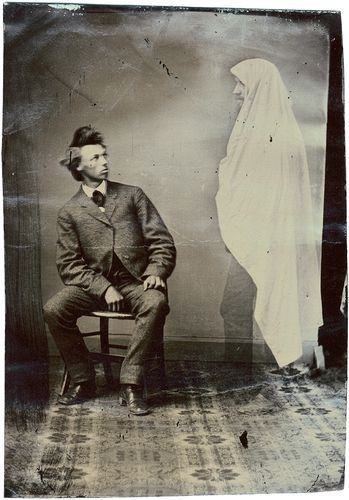 The ghost who changed his will. Why we tell ghost stories at Christmas. Lucy Walter, a royal mistress. That's all for this week, gang. I'll have an "end of year wrap-up" on Sunday, and then Monday we'll look at Scottish mystery. Enjoy what's left of 2016! Christmas ghost stories are justifiably popular, but New Year's Eve spook tales seem far less common. If the truth be told, I find that a bit odd, as the passing of one year and the birth of another seems like a ripe time to speak of the dead among the living. One instance of a "New Year's ghost" was related by Elliott O'Donnell in his 1916 book "Twenty Years' Experience as a Ghost Hunter." Whether the incident is strictly true or not is anyone's guess--O'Donnell was famed for never letting facts spoil his fun--but it is a welcome twist on that tired old ghost story cliche, "Spirit visits old friend to tell of his/her death." Whilst I was still writing for "The Weekly Despatch," I happened to visit an old friend of mine, a Captain Rupert Tennison, who was staying with an aged relative in the Hagley Road, Birmingham. "This is hardly the house you would expect to see a ghost in, is it ?" he remarked to me after luncheon. "And yet I can assure you I had a very remarkable psychic experience here, in this very room. I've often wanted to tell you about it. It happened one New Year's Eve three and a half years ago. My aunt had a nephew, on her husband's side, called Jack Wilmot, and he and I used to meet here regularly at the commencement of every New Year. On this occasion, however, my aunt informed me that Wilmot was unable to be present, as he was detained in Mexico, where he had a very good post as a mining engineer. "I was much disappointed, for Wilmot and I were great pals, and the prospect of staying here alone with the old lady struck me as perfectly appalling. I resolved to make the best of it, however, for I was genuinely sorry for my aunt, whom I could see was quite as disappointed as I was. I arrived late in the afternoon of December 31st. We dined at seven, and at nine my aunt went off to bed and left me in this room by myself. "For some time I read—no, not one of your books, O'Donnell—a Guy Maupassant; but the light being rather bad, and my eyes tired, for I had been travelling all the previous night, I was at last obliged to desist and devote myself entirely to a pipe. "The servants went to bed at about ten. I heard them tap respectfully at my aunt's door on their way, and wish her good-night. After that the house was absolutely silent, so silent, indeed, that the hush began to get on my nerves, and I was contemplating retiring also, when heavy footsteps suddenly crossed the hall and the door of this room was flung wide open. I looked round in amazement. Standing on the threshold was Wilmot. "He pulled his chair up to the table, and, leaning his elbows on it, stared right into my face. "'Won't it bore you ?' he replied. 'After all, why should I bother other people with my woes. Oh, all right, I will if you like. "'Some months ago there came to the town where I am working a wealthy Spaniard and his wife. Their name was Hervada. He was a tall, lean, sour-faced old curmudgeon, and she one of the most beautiful young creatures you can imagine. You can guess what happened?' "' You fell in love with her, of course,' I cried. "' From the moment I saw her,' Jack replied. You got introduced,' I said. Trust me,' he laughed. 'I found out where she lived, and the rest was so easy that before the end of the week I had dined with them, and also had had one clandestine meeting in the Park. At first her old villain of a husband suspected nothing. But it is infernally hard to keep up a pretense for long, when one is really madly consumed with passion. Eyes are sure indicators of what the heart feels, at least mine » are, and when Hervada suddenly looked up and caught me gazing at his wife as if I could devour her, the cat was completely out of the bag. I give him credit for one thing, however: he took it very calmly. Despite his unprepossessing exterior he could at times be extremely courteous and dignified. "Jack nodded. 'Yes!' he said. 'We measured off twenty paces, and then, turning round, fired.' "' And you killed him?' "' That would be your natural surmise,' was the reply. "The moment he had said these words, he seemed to fade away, and before I could recover from my astonishment, he had completely disappeared, and I found myself staring not at him but the blank wall. And now comes the oddest part of it. I naturally expected to hear Jack was dead. I said nothing to my aunt, but I wrote off to his address at once. "Judge, then, of my relief when I received a letter from him by return of post to say he was absolutely fit and well, and getting on splendidly. That was in February. In the following August my aunt wrote to me saying a very tragic occurrence had taken place. Jack was dead. He had been found on the verandah of an hotel in Mexico shot through the heart. Though the identity of his murderer was generally suspected, there was no actual proof, and as the man was very rich and influential, it was thought quite useless to take up the case. Now what kind of superphysical phenomenon do you call that?" Captain Tennison concluded. "I can't exactly say," I replied. 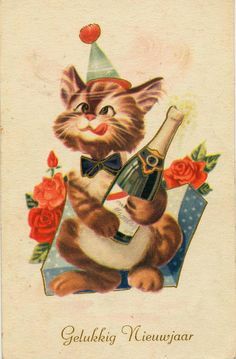 "It is one of those strange prognostications of the future that happen more often on New Year's Eve than on any other day of the year. ''I don't think the phantasm you saw was actually Wilmot's spirit. I don't see how it could have been. I think it was an impersonating neutrarian, one of that order of phantasms that have never inhabited any kind of material body, and whose special function is apparently to foretell the end of certain people, and certain people only." It is part of the conventional wisdom that May/December marriages rarely work out well. Fortunately, however, few have turned as lethal--and mysterious--as the union between Sir John Delves "Jock" Broughton and Diana Caldwell. They were among the passengers on a ship that was sailing from England to South Africa in October 1940. Broughton was 56, divorced, with the air of a classic English gentleman of the "old school." He was rather quiet and reserved, but charming and courtly in manner. (Nevertheless, this "English gentleman" had a past that included heavy gambling debts that were likely paid off through insurance fraud.) He was on his way to Kenya, where he had rented a home on the extensive estate at Karen. His health was poor, and he hoped that an African idyll would help him regain his strength. Caldwell was from an entirely different background. The divorced 26-year-old had little money and few real prospects in life, but she was highly alluring, with a bubbly, outgoing nature. It was a classic case of opposites attracting. Broughton was charmed by the young woman whose free-spirited manner was so different from his own. And Caldwell saw in him the financial wherewithal and social status she conspicuously lacked. They agreed to marry as soon as they reached land. Broughton was, however, experienced enough to see the obvious hazards of taking a beautiful wife young enough to be his daughter. He offered her what today would be called a "prenup": If either of them became unhappy with their marriage, they would part as friends, without any recriminations or hard feelings on either side. He also promised her a lavish financial settlement. Diana readily agreed to these generous terms, and as soon as they arrived in Cape Town, the pair were married on November 5, 1940. The newlyweds honeymooned at their new home outside of Nairobi. If you had enough money, Kenya could be a very pleasant place to wait out World War II. The conflict's horrors seemed very far away. The colony of upper-crust English expatriates had little to do but enjoy themselves. The "Happy Valley Set," as they were called, quickly became famous for their decadence. Heavy drinking, drug use, and indiscriminate sexual adventures were commonplace. All in all, it was not the wisest place for Sir Delves to bring his attractive, pleasure-loving bride. One of the colony's most prominent members was 39-year-old Jocelyn Victor Hay, Earl of Erroll. He was in Kenya as England's Military Secretary and Assistant Director of Manpower, but his real occupation was women. 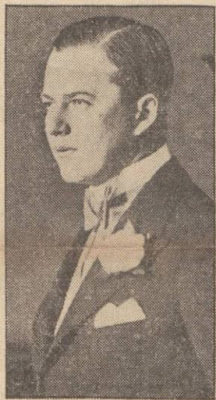 The brilliantly handsome, twice-married Erroll was known as the "Great Lover," and the nickname was evidently not at all exaggerated. He immediately became part of the Broughtons' social circle. Sir Delves admired the younger man's "bain, humour, and kindness." Diana--as did most women--responded to Erroll's good looks, romantic charm, and passion for life. She saw him as a kindred spirit. Broughton gave his new wife all the freedom she desired. 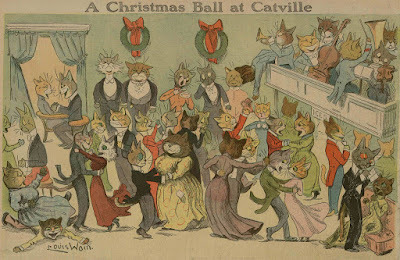 Although he did not share her love for frivolity, he made no complaint about her attending the Nairobi set's endless rounds of parties and dances without him--but with the Earl of Erroll. "One must keep a young wife amused," he would say tolerantly. However broad-minded Broughton's attitude may have been, it would not be surprising if others saw the situation differently. Before long, Sir Delves received several anonymous letters. Unsigned messages are usually best left unread, and these were no exception. "What about the eternal triangle?" said one note. "What are you going to do about it?" Another read, "There is no fool like an old fool," and repeated the taunting question, "What are you going to do about it?" Broughton took the letters to the police, but the writer was never identified. Broughton had not needed these poison-pen letters to tell him that his marriage was already in trouble. By the time 1941 dawned, he knew that the woman who had married him only weeks before was in love with another man. At a dinner party on January 12, as Sir Delves watched Diana and Erroll dancing, his friend Lady Delamere rather tactlessly asked him, "Have you heard the talk that Josh is wildly in love with your wife?" Broughton frostily declined to answer, but Lady Delamere later recalled that his face showed "anger, misery, rage, agitation and restlessness." Later that evening, both Diana and Erroll separately confided in Lady Delamere. They were in love and wanted to marry. What did she think they should do? The older woman advised them to be honest. If they truly wanted to be together, they needed to tell Sir Delves the news as soon as possible. They both agreed. Meanwhile, Broughton was taking his side of the story to an old friend, Lieutenant Commander J.B. Soames. 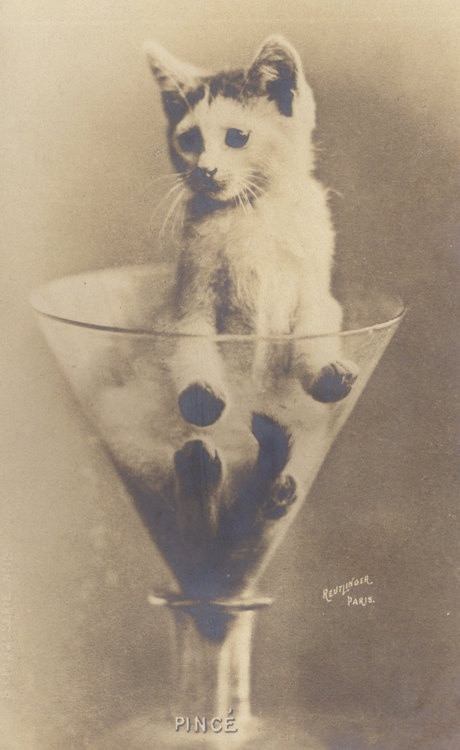 He admitted that lately, he had taken to drinking heavily to try and forget his troubles. He had wanted to give Diana freedom to enjoy herself, but even his tolerance had its limits, and "I feel the limit has been reached. Now." He feared that she and Erroll were falling in love. What did Soames think of the situation? Soames, like Lady Delamere, counseled a direct approach. Broughton should ask Diana and Erroll how they felt about each other. If, as Broughton suspected, the two were romantically involved, he should return to England and put the painful episode behind him. The baronet followed this advice. When he asked Diana about Erroll, she admitted the truth. "It is something I just cannot help," she said rather lamely. Broughton still loved his wife, and couldn't bear the idea of giving her up without some sort of fight. He suggested that they go away for three months, to give herself time to decide if she truly wanted to be with Erroll, of if her feelings were just a passing infatuation. Diana refused. She believed she knew what she wanted perfectly well. A three-month wait would make no difference, she said. Broughton was desperate enough to pocket his pride and go to Erroll himself for help. He begged his rival to persuade Diana to leave Nairobi for three months. "Diana is so young," he said despairingly. "She has been so happy in Kenya with me. Please give me a chance to make something of our marriage!" Erroll wouldn't hear of it. He told his former friend that he loved Diana and refused to be parted from her. "I'm sorry it has worked out like this for you, Jock, but I suppose it was fated to be." Broughton announced he was giving up. He told Diana he would begin divorce proceedings. He talked of moving to Ceylon. To all appearances, the baronet was handling his humiliating loss with gallant magnanimity. However, he privately cherished the hope that within a few months, his wife's infatuation for Erroll would cool. He later recalled, "I loved her, in spite of everything, and I hoped that all might still come right in the end." On January 21, Broughton called police to report a theft at his house. Two Colt revolvers, a .32 and a .45, were missing. He had last used them when doing target practice at J.B. Soames' farm a few weeks back. There were no other signs of a burglary, and Broughton professed to have no idea who could have taken them. Two days later, Broughton instructed a lawyer in Nairobi to begin the process of divorce. He told Diana the news, assuring her that he realized he "had to cut my losses." Broughton said he was leaving for Ceylon the following week, but he asked her in the meantime to remain under the same roof with him, "for the sake of appearances." Erroll was delighted by how smoothly things were going. That same day, he told a friend that he would be dining that night with the Broughtons and another friend, June, Lady Carberry at the Muthaiga Country Club. "But after dinner Diana and I are going to dance at the Claremont Roadhouse. We're going to leave the old boy and Lady Carberry behind." Broughton had no objection to this plan, stating only that Erroll should bring Diana home by 3 a.m. 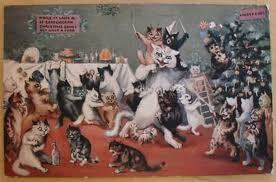 The dinner party was, considering the circumstances, weirdly convivial. No one was more cheerful than the jilted husband. Broughton even proposed a toast to the future happiness of his wife and her lover. However, once Diana and Erroll had left, Broughton's mask began to slip. As he and Lady Carberry sat in the club's lounge together, Sir Delves downed a few too many brandies and vowed bitterly that Diana would not see a penny of his money. "We have been married only three months, and look how it is for me now," he moaned. 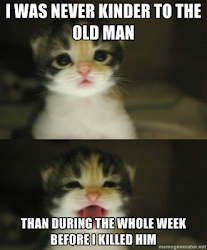 Others at the club noted that he suddenly looked very old, very tired and very, very unhappy. Broughton and Lady Carberry returned to Karen House at about 2 a.m. He spoke to his guest again about an hour later and retired to his bedroom. Soon afterwards, Erroll brought Diana back home and turned his car in the direction of his lodgings in Nairobi. All appeared to be quiet. At 5:30 a.m. Nairobi's police station received a call reporting an accident. A car was overhanging a gravel pit on the road leading from Karen to Nairobi, about two and a half miles from Broughton's home. The driver was inside the vehicle, and appeared to be deceased. Authorities soon determined that the dead man was the Earl of Erroll. And he had not been killed in a road accident. Someone had shot him in the head. Another bullet was found in the car roof. The pathologist believed that the murderer had fired at very close range, possibly just a few inches away. The theory was that the assassin had then entered the car, pushed Erroll's body away from the wheel, and started the vehicle towards the gravel pit at a slow speed. Just before the car reached the pit, the killer leaped out and made his/her getaway. When Diana heard of her lover's sudden and violent death, she was overwhelmed with shock and grief. Broughton appeared to be equally stunned by the news. He showed great sympathy and kindness towards his wife, advising Lady Carberry to bring Diana to her home at Nyeri, about 100 miles away. He thought it would be easier for her to be far away from painful memories of Erroll. However, later that day, when lunching with Lady Delamere, Broughton's true feelings again began to peek out from his show of goodwill. He told his companion that he never wanted to see Diana again. He talked wistfully of his first wife, and expressed his regret that he had not remained with her. Lady Delamere later described his behavior as rather abnormal. "He was nervy and jumpy and wanted company; he did not want to be left alone." Sir Delves had good reason to be nervous. He was more than intelligent enough to realize that the police had him on top of their list of suspects for Erroll's murder. After all, he had the strongest motive any man could have to want the Earl dead. Motive was, however, the only evidence the police had at the moment. No unusual fingerprints were found on the car, leaving it valueless as evidence. No footprints were found at the scene. Although the .32 calibre bullet which killed Erroll had been recovered, the gun that fired it was nowhere to be found. And Broughton made a point of reminding investigators that the only two firearms he had were stolen before the murder. He did, however, have an unsettling question for a detective: "Are Europeans hanged for murder in Kenya?" The police thought they had finally found a promising lead when they heard of Broughton's target shooting at the Soames farm. When they searched the firing range, they found four .32 slugs. Ballistics experts examined the bullets and found markings that appeared identical to the ones found at the crime scene. They believed the bullets had been fired from the same gun. Investigators formulated their theory of how Broughton had killed Erroll. As no one had heard him leaving the house on the fatal night, they proposed that he had slipped out by climbing the drainpipe outside his window or lowering himself from the balcony. Then, he had somehow accosted Erroll in his car. They believed that Broughton's report of his guns being stolen was a hoax. He had merely kept them hidden somewhere in or around Karen House. After he used one of the guns to shoot Erroll, he put it back in its hiding place. The police, confident they had finally solved the mystery, arrested Broughton on March 14. He stood trial two months later. Broughton's lawyer, H.H. Morris, Q.C., realized that the crux of the case was the issue of whether or not the two bullets found at the crime were indeed identical to those found at Soames' firing range. Expert witnesses for the Crown testified that markings on the bullets used to shoot Erroll, as well as powder grains found on the body, were the same as those found on the bullets at Soames' farm. All of those bullets, they declared, were fired from the same .32 revolver. However, they also testified that the bullets were fired from a gun with five right-hand rifling grooves. Morris pointed out that the Colt is a six-grooved gun. In other words, Broughton's missing Colts could not have been used to commit the murder. Morris also produced his own experts, who asserted that they did not believe the two sets of bullets had identical markings at all. For that matter, who could say that the slugs found on Soames' farm had anything to do with Broughton? The shooting range had been used as a hunting camp for twenty years. The bullets produced in court could have been fired at any time, by any one. The defendant had a number of character witnesses, all describing him as a placid, even-tempered, self-controlled man, a "very good loser" who would be the last person in the world to let jealousy or anger lead him to murder. In the end, however, it was the contradictory evidence about the bullets that decided the case. With these "reasonable doubts" about whether or not any gun owned by Broughton could have been used in the murder, the jury had little trouble voting for acquittal. In fact, it later emerged that eleven jurors wanted to return a verdict of "Not Guilty and Innocent," but the twelfth persuaded them to stick to the conventional wording. A few days after the end of the trial, a friend of Morris' asked him playfully, "Tell me, Harry, who shot Erroll?" "My God," replied Morris. "I quite forgot to ask." Or--as most crime historians assume--was the seemingly quiet, harmless Sir Delves Broughton a man who got away with a very clever murder? In 2007, the author Christine Nicholls claimed that she had obtained witness statements claiming that on the night of the murder, Broughton had hidden himself in Errol's car and shot his rival when they were a safe distance from the house. He was then picked up in the car of an associate who had been paid off for his help--and his silence. The story is certainly not unconvincing, but despite Nicholls' boast of "solving" the Erroll murder, alleged testimony given so many years after-the-fact cannot be considered definitive. If Sir Delves was indeed guilty, he learned the hard way that crime does not pay. Unsurprisingly, he and Diana parted company for good. She remained in Kenya while he sailed back to England alone. Several days after arriving in his home country, Broughton killed himself with a lethal injection of morphine. He left no explanation for his act. His former wife managed to land on her feet. Erroll had scarcely been cold in his grave before Diana found herself a new lover, Gilbert Covile. Like Broughton, he was wealthy, staid, and considerably older than Diana. Also like Broughton, he was able to keep Diana in the luxurious lifestyle she craved. In 1955, she left Covile for yet another rich aristocrat, Lord Tom Delamere. She died in 1987, having kept whatever she might have known--or suspected--about the Erroll murder a secret to the end. What the hell is trumpeting in Spokane Valley? What the hell is "Tabby's Star?" Now we know? Watch out for those Flying Serpents! Watch out for those Hoodoo Christmas Trees! Watch out for those Creepy Christmas Fairies! Watch out for those Norwegian Christmases! Watch out for those Caversham Christmases! Watch out for those Nebraska Winged Things! Christmas Eve tragedy in Gloucestershire. This week's Advice From Thomas Morris: What not to do with a toasting fork. A harpsichordist who is a real survivor. 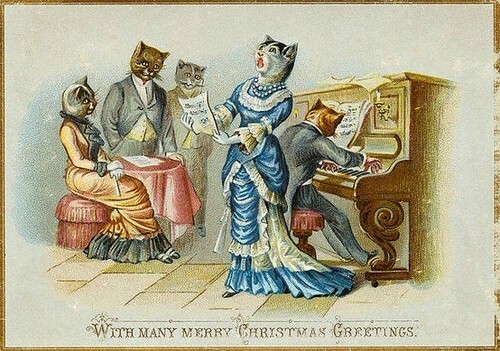 A brief look at Christmas, 1824. It wasn't safe to libel Queen Christina. One of the most unpleasant aspects of 17th century France. Goths vs. Egyptians. Or not. An East End cat in midwinter. What British diplomats thought of Castro in the 1950s. This helps explain why I despise Thomas More. Mary Queen of Scots' ghost has a bad Christmas Eve. William the Conqueror's first Christmas as King of England. A strange murder in Pennsylvania. What an Egyptian recipe for face cream teaches us about the value of ancient medicine. Warning: this tale of 19th century bear-baiting in New York City is just as grim as you'd think. How American time became standardized. The dangers of being impatient for someone to die. The Christmas game of Snap-Dragon. Christmas gifts for all the Victorians on your list. The mystery of the Jewish Assassin. This week in Weird Canada: Watch out for the car-licking moose. And this week in Weird Russia pretty much speaks for itself. The first public Christmas tree. There we go for this week. Merry Christmas--or Happy Holidays--whatever you call this weekend, have a good one. See you next week, when we'll be looking at a notorious Kenyan murder mystery. And speaking of Latvian Christmases, here is a track from a terrific album of folk songs celebrating the season. As you may note, it has a pretty cool cover, too. 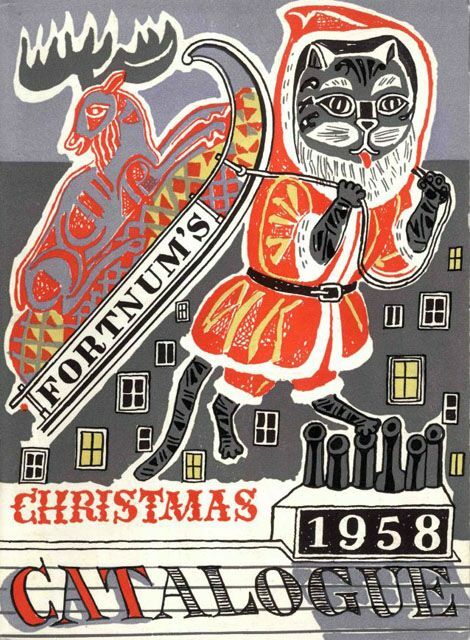 Greetings and welcome to our annual look at Christmas festivities, Strange Company style! HOUSTON. 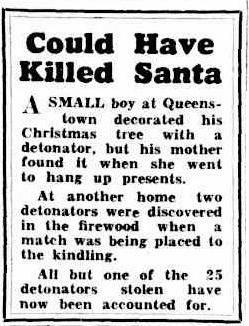 Tex.. Dec. 25.— Two men were fatally burned to-day while impersonating Santa Claus; two children were killed, one child was fatally wounded and another was seriously injured in accidents due to the holidays. Sidney Anderson, head blacksmith in the Southern Pacific shops, arose early to take the part of Santa Claus and to complete the decoration of a Christmas tree. He dressed in an improvised costume made of tufts of cotton, and with a long flowing wig and beard of hemp. While lighting the Christmas tree his beard was fired and in a moment he was in flames. He was fatally burned before assistance came. Roy Ramer was fatally shot by Verna Bardin, tho 12-year-old daughter of his landlady. He had presented the child and her mother with gifts, and the girl, while skipping about in excess of joy. picked up a revolver and snapped it, saying: "I will show you how good an aim I can make." W. H. Osborn, a South End grocer, while distributing presents was burned from head to foot before the flaming garments could be torn from him. Thelma, the 4-year-old daughter of J. L. Culpepper, was burned to death with a toy lamp. Edward Carter, aged 15. lost an arm by the explosion of a toy cannon and received other injuries from which death is expected. Jose Milando. a Mexican boy. had placed firecrackers in his pockets and was mounting his horse to ride to his home when some one fired the crackers. The horse ran away and he was thrown and killed. In Connecticut, a boy shot his father dead in the middle of a domestic tiff over what decorations should be hung on the family Christmas tree. Christmas tree bush is supposed to be as unlucky as breaking a mirror or spilling salt on Friday the 13th. At a city hotel, where superstition is lightly regarded, a big bunch of Christmas bush was used to decorate a lounge room, regardless of the fact that to bring the bloom into a house before Christmas Day is like killing a black cat. One of the stewards was opening a bottle in the lounge a few minutes later when it exploded,cutting his hand severely. Another steward, who was just entering the lounge with a tray of glasses, got such a shock that he dropped his tray with rather dire results. And while the excitement was at its height a lady fainted. It all happened within three minutes of the first appearance of the Christmas tree in the room. Incidentally, the hotel people can't be superstitious, for the Christmas tree remained long after the two stewards, the blood, the broken glass and the fainting lady had been removed. KANSAS CITY, December 27. Ruby Nuehle, 40, killed her husband during Christmas dinner with a revolver. She told the police that the argument started because her husband complained that nine dollars was too high a price for a turkey. An Irish labourer named James Conroy has been wandering round the town for the past few days with a burial certificate. He is too busily engaged enjoying the Christmas festivities to attend to the last sad rites connected with the death of his wife. He lives at 3 court, 1 house, Steelhouse lane, and his poor wife died on the 14th inst. The body has been awaiting burial ever since, and complaints having been made the police are searching for the labourer to get the funeral accomplished. Stockholm--Nine jolly Santa Clauses were jailed Thursday night in the suburb of Vaellingby after they absorbed too much Christmas cheer at a party. A police spokesman said the Santas were arrested on charges of disturbing the peace. "These people, all dressed in Santa Claus outfits, were rowdy and kept arguing and fighting between themselves even when we locked them up," the spokesman said. New York, Dec. 21--A Brooklyn Santa Claus was arrested today for stealing toys. The Santa bumped into a policeman as he came out of a store with an armful of toys. He dropped the burden and ran and the policeman, startled by such conduct, caught him. He said he was, out of the red uniform, Anthony Spiegal, and under that name, instead of Santa Claus, he was held to the grand jury on a charge of burglary. John Moore, who registered at the Chatham Square hotel, of the Volunteers of America, in New York, and who for several days has been stationed at Broadway and Wall street, dressed in the costume of Santa Claus and guarding a chimney which has an opening at the top into which the charitably inclined may drop coins, was a prisoner in police court Tuesday, on a charge of intoxication. Moore left his hotel to go to Wall street with his little brick chimney, but stopped in every saloon on the way. Santa Claus was found sitting on his chimney, with his white wig in one hand and his white beard in the other, talking to the big clock in the tower of Old Trinity. Santa Claus was promptly arrested. Pro tip: A search in the digital newspaper archives for ["Any holiday" + "dynamite"] brings up the damndest things. The "San Francisco Call" for December 26, 1911, suggests that spending your Christmas party detonating explosives might not be the greatest idea. MIDDLESBORO, Ky.; Dec. 25,—Edward Van Bever, nephew of Chief of Police Van Bever of Little Clear creek, near here, was blown to atoms tonight while discharging dynamite. Van Bever with a party of friends was celebrating Christmas. Thinking that the fuse attached to the stick of dynamite had been extinguished, he walked up to the deadly explosive to relight it. In a second an explosion followed, throwing him high in the air. And, yes, that's quite a startling leap between the second and third sentences of the story. I'll close with my favorite holiday story of the year. Meet two gentlemen who took "celebrating with a bang" to a whole other level. [Special Dispatch to The Call] SAN BERNARDINO. Jan. 3.— The most extraordinary tragedy ever enacted on the desert took place at Jake Fletcher's cabin on the banks of the Amargosa, near Death valley, on Christmas day. The news has Just reached civilization. Fletcher had been doing well on his claim until recently, when the vein ran out. This left him without money to buy whisky. Thomas Robbins, a bosom friend, who was spending Thanksgiving day at Fletcher's, proposed that they try a dynamite jag. He said he had read of Mexican miners getting drunk by eating dynamite when liquor failed. Fletcher was incredulous, but expressed his willingness to make, this experiment. 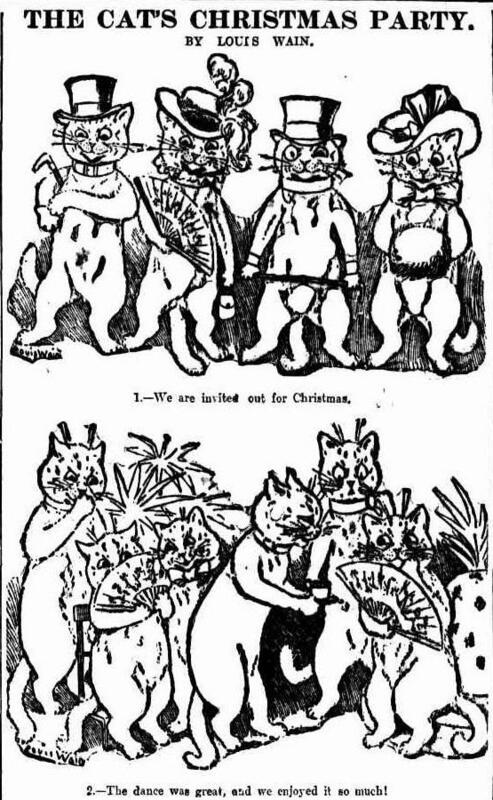 Between them they consumed three sticks of dynamite during the afternoon and evening of Christmas day and became loud and boisterous in their demeanor. Fletcher was good natured and wanted to sing, but Robbins was surly and quarrelsome, and; the more dynamite he consumed the more troublesome he became. This finally aroused Fletcher's wrath to such a pitch that he challenged Robbins to a fistic duel. Robbins was staggering slightly and Fletcher finally shot a left hook Into the man's ribs. Instantly there was a terrific explosion. The body of Robbins shot through the ceiling as though it had turned into a dynamite bomb. The concussion induced by Fletcher's blow had caused Robbins to explode. The tragedy instantly sobered Fletcher, and he called at a neighbor's cabin, where he told the story and borrowed a lantern, saying he intended to go that night to the nearest peace officer and give himself up for the crime of manslaughter. He was deeply depressed, and this feeling of melancholy must have caused him to alter his program, for he betook himself to the top of a peak about a mile away and threw himself from that point Into the ravine below. Searchers found the shattered remains of Fletcher scattered about In the boughs of the willows that grew near the head of the ravine. He had landed in a soft spot, but the concussion had been great enough to set off the second charge of dynamite. The miners buried what they could find of the two bodies in one grave. Since the death of Fletcher a miner who went to work on his claim rediscovered the lost ledge and is taking out ore that will run $97.98 in gold. The moral here is so obvious it scarcely needs repeating: Keep plenty of gin, wine, beer, and all other alcoholic liquors on hand this holiday season, lest your family and friends start breaking into the explosives. I have a fondness for Weird Wills. Sometimes, however, the Weirdest Will can be where there is no will at all. As Example A of that statement, meet Daisy Alexander. Alexander was a daughter of Isaac Singer, he of the once-ubiquitous sewing machines. Mrs. Alexander died at the age of 80 in 1939, leaving behind a $15 million estate. Although she had promised to leave a generous sum to her lawyer, Barry Cohen, and she had often mentioned to friends how irresponsible it was for wealthy people not to bother with estate planning, after she died only one will of hers could be found--a document from 1909, when her fortune was considerably smaller than it was at the time of her death. This testament only addressed a small portion of her money, leaving minor bequests to a handful of relatives. Cohen, who not surprisingly felt he was being robbed, was certain that there was a later, more complete will out there somewhere. And he was determined to find it. Cohen had spent 20 years of his life drawing up various wills for Mrs. Alexander ("she changed her mind a great deal," the newspapers commented drily,) and it seemed impossible that she should have died intestate. The woman had been a veritable bequest machine. He began with a minute search of Alexander's London mansion. Nothing. He then brought in mine detectors to sweep the house, (which was by then being used for government offices,) hoping to find a hidden safe. Nope. Not so much as a scrap of paper could be found. Cohen then brought in a clairvoyant named Frederick Liston. The lawyer hopefully told the press that Liston "has given us some remarkable leads. He put us on the trail of a carpenter befriended by Mrs. Alexander whose virtue in her opinion seemed to be that he listened attentively. We did not have any idea that this workman knew anything about her. But now he has told us that she used to call him in for little tasks about the house, and that she would make him sit while she lectured him for an hour or more." Unfortunately, this patient and attentive carpenter could not recall building any secret hiding places that could have been used for will storage, or any other clues where the document might be hiding, so this "remarkable lead" proved a bust. Predictably, news reports of the search brought in a grand assortment of grifters, publicity-seekers, and kooks. There was the woman from Kent who had "visions" of the will's location. There was the witch doctor from West Afica. There was the dowser with a pendulum. There were those helpful souls ready to use their "sympathetic vibrations" to locate the document. Cohen set out to find Bob, Alexander's former pet talking parrot. She used to spend hours at a time chatting to the bird. (He was an even more captive audience than the carpenter.) Perhaps Alexander had confided to her feathered friend where her will might be found? Alas, Bob's last known owner reported that he had given the bird away to a stranger years before. Bob had "a nasty disposition," he explained. Second-hand stores across London were searched in the hope of finding an old settee Alexander had owned. Perhaps she had used her furniture as a comfy safe-deposit box? Perhaps the will was hidden in a vase she had owned which contained a hollow base? Perhaps by this point Lawyer Cohen was going a bit mad. The Great Alexander Will Hunt ground to a standstill until 1949. In that year, Jack Wurm, a restaurant dishwasher from Palo Alto, California, announced to the world that he had discovered a bottle that had been washed up on a San Francisco beach. He stated that the bottle contained a piece of paper written by the late Mrs. Alexander. The document read: "To avoid confusion, I leave my entire estate to the lucky person who finds this bottle and to my attorney, Barry Cohen, share and share alike." The document was dated January 20, 1937. A short, but--for Wurm and Cohen, at least--very sweet will. When the press reported on Wurm's amazing find, Alexander's friends recalled that the oh-so-madcap heiress had the playful habit of throwing bottled messages into the sea, and they acknowledged that staging a similar stunt with her will would be entirely in character. It was looking as though this was one of the luckiest moments in beachcombing history. Or, at least, it would have been, if not for a couple of distressing drawbacks. For one thing, the will was not witnessed, which was a legal requirement for it to be honored in the British courts. And Wurm himself admitted that there was always a possibility that the paper he found was a hoax. Although many modern-day accounts of the case state that Wurm's efforts to claim his half of Alexander's estate were successful, the British courts refused to acknowledge the "will in a bottle," and the heiress' 1909 will was granted probate instead. A niece and nephew of Alexander's were the main recipients of her estate. Wurm pursued the matter in the courts for many years--the question of the dodgy document made it as far as Parliament--but apparently to no avail. It was never even established if the "bottle will" was genuinely written by Mrs. Alexander. Where there's not a will, there's just no way. 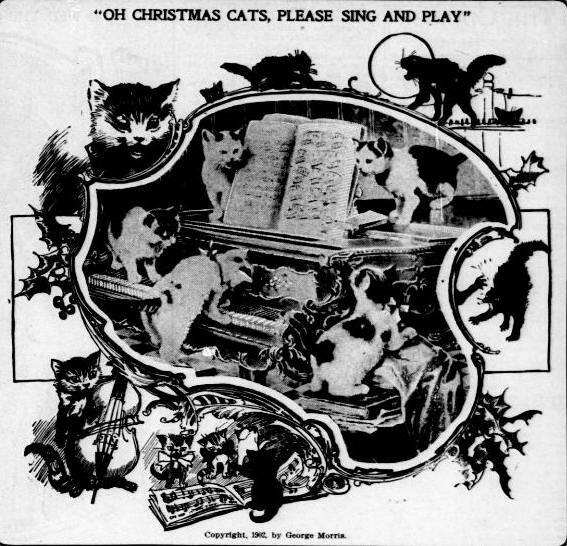 Once again, the Link Dump is sponsored by the Christmas Cats! What the hell is the Marree Man? What the hell caused the climate cataclysm of the sixth century? Who the hell wrote "The Night Before Christmas?" Watch out for the Killikantzaros! The odd phenomenon of stone babies. The ancient city beneath St. Louis. A cave that was visited for 180,000 years. It gives me some faith in the world to learn that there's a woman in England who keeps a Gnome Reserve. A mysterious cave and a disappearance. The folklore of Christmas food. Tycho Brahe had a golden end. A 19th century sea serpent tale. James Joyce describes a murder. 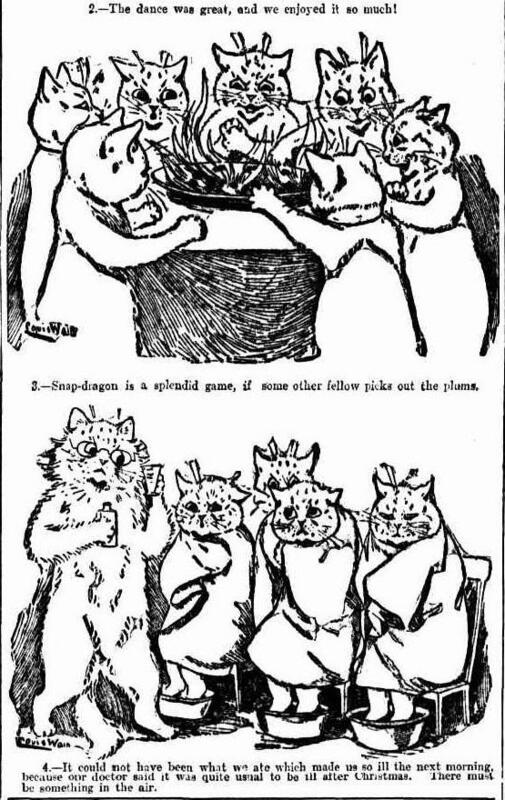 19th century palindromes and anagrams. Christmas in mid-20th century Bahrain. This week's Advice From Thomas Morris: What not to do with your false teeth. If you're looking for baby names, you could do worse than the 14th century. The "real story" of Area 51. A new theory about the mystery of sleep. A new theory about Neanderthal religion. A new theory about the cause of some mental illness. A curious message in a bottle. Anne Boleyn's trial in the National Archives. Christmas dinner in Tudor and Stuart days. An early department store Santa. The man who popularized potatoes. That time the Duke of Wellington baby-sat a toad. That time the Victorians went insane over ferns. Jane Austen and the "scribbling trollop." Damn, but people were tough in the old days. A haunted New Orleans murder house. How to care for a country house. All hail the Christmas Witch! A remarkable "sea serpent" sighting. Driven to suicide by a curse. The boy who wouldn't be king. Remembering America's first circus elephant. 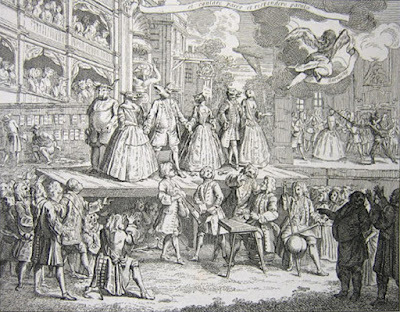 A Victorian urban legend about a ridiculously expensive play. How to appease household spirits. Speaking of household spirits, you didn't know that Liszt drank a bottle of cognac a day? Now you do! And, finally, this week in Weird Canada: Toronto squirrels have declared war on Christmas. Oh, and the Alberta legislature cherishes a nearly 50-year-old hamburger. As it is nearly Christmas, I am going a bit out of order in our ongoing presentation of the "Boston Post's" "Famous Cats of New England" series. 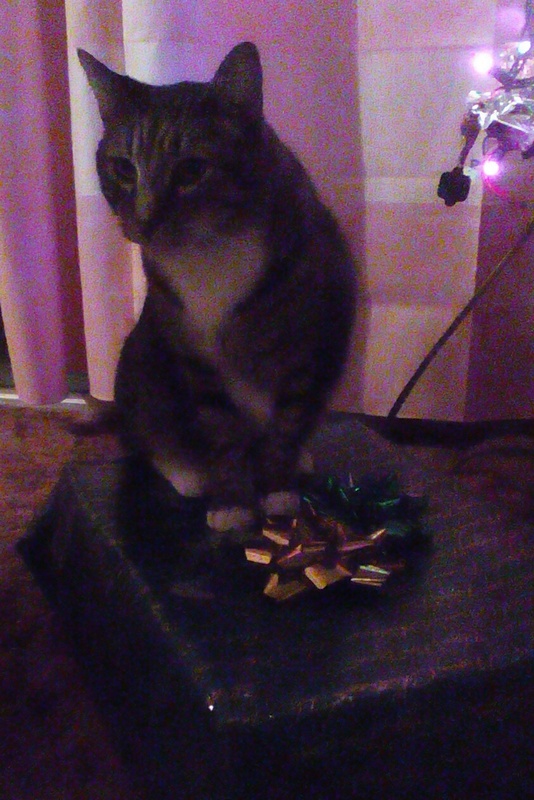 Meet Danny, a once-friendless cat who got the greatest Christmas present of all--a forever home. If only all the "waifs" out there in the world could receive the same gift. 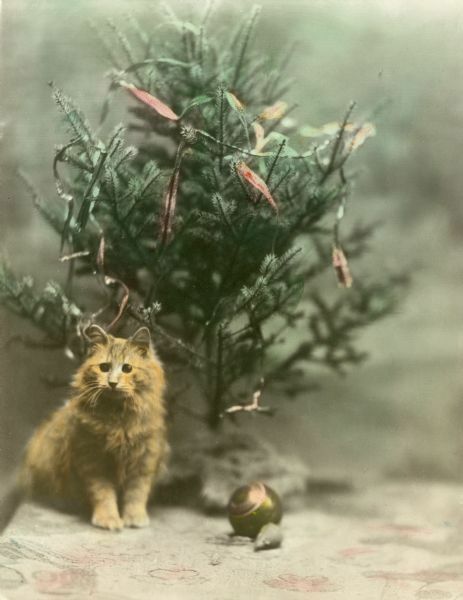 A lonely, shivery, breakfastless, dinnerless, supperless Christmas and a fair chance of standing high in a "Loneliest Cat in New England" series might have been Danny's sole claim to distinction. Instead he's one of New England's happiest cats this Christmas day. There'll be a soft pillow to sleep on for the first time in his life instead of a coal bin; there'll be dainty bits of the turkey set specially aside for him and a kind master and missy to care whether he gets left out in the rain or starved to death or abused. It's all because Gordon Stables, a young actor of the "East Is West" company, which leaves town tonight, penned a touching appeal for Danny and sent it to the Post, where it first met the sight of Frank Kinsella of the Post staff, who immediately declared that he and Mrs. Kinsella would save a place by their fireside for Danny for the rest of his life. Who says I never post stories with a happy ending? William Brodie was born in Edinburgh on September 28, 1741. The Brodies were respectable and accomplished upper-middle-class stock. His father was a wealthy and talented cabinet-maker, and in due time his son succeeded him in the occupation. 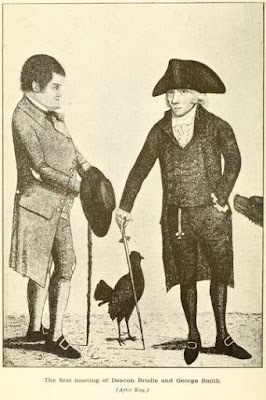 William joined Edinburgh's most exclusive social clubs, and became a member of the Town Council. He gained the title of "Deacon" due to becoming the head of the Incorporation of Wrights (the trade union dealing with woodwork artisans.) The younger Brodie looked set to have a quiet and unremarkable, if pleasant, existence. However, William had other ideas. He proved to be a man of hidden depths. 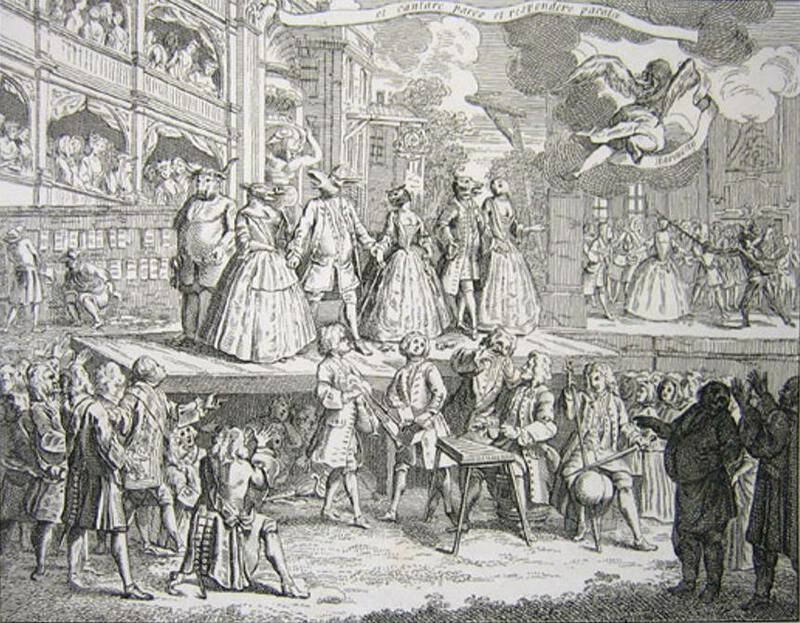 He had a passion for John Gay's popular musical show, "The Beggar's Opera." The opera's hero, the robber-king Macheath, became Brodie's private idol. Unbeknownst to his social peers, Brodie was a compulsive gambler, who could not refrain from gaming in the worst parts of town with Edinburgh's seediest citizens. Even more scandalously, he was the head of three separate households: In addition to his "legitimate" family, he kept two mistresses, Anne Grant and Jean Watt, who both bore him numerous children. Gambling and womanizing are both expensive hobbies, and despite his family's affluence, William eventually found himself with severe money troubles. It was then that Macheath became not just an object of Brodie's admiration, but his role model. This ostensibly respectable Councillor and cabinet-maker decided to turn professional burglar. His methods were simple: In those days, the town's tradesmen kept their keys openly hung on nails behind the shop door. Brodie would drop by one of the establishments, engage the merchant in some casual small talk, and, when the owner's back was turned, use a small lump of putty to make an impression of the store's key. He would then use this as a mold for making a duplicate key, leaving him free to rob the place at his leisure. Soon, Edinburgh found itself beset by a mysterious crime wave. Shop after shop was found emptied during the night, seemingly by some phantom who managed to get in and out by some unknown manner. The method used to enter the stores was never discovered, and certainly no one guessed the man behind these baffling burglaries was one of the city's most well-liked and well-regarded citizens. Brodie might have gotten away with his strange double life indefinitely, if he had not made the mistake of taking on accomplices. In 1786, he made the acquaintance of two minor villains, Andrew Ainslie and John Brown, and a traveling Englishman named George Smith. Smith had been trained to be a locksmith, a talent which presented certain obvious charms for the Deacon. Brodie decided that, like his beloved Macheath, it was time to expand his horizons and become the leader of a gang of professional thieves. The Brodie Ring started small; a goldsmith's shop here, a tobacconist's store here. Divided among four men, the proceeds were unsatisfactorily small, and the group felt bigger game was needed. A local jewelry establishment was, Brodie decided, "a very proper shop for breaking into." On Christmas Eve 1786, Smith was sent out ahead to pick the store's locks. This done, the men quickly cleaned out the place, netting valuables worth a total of £350. This was followed by a raid on a Leith grocer, the theft of the silver mace kept at Edinburgh University, and several other burglared stores. The last of these victims, a pair of merchants named Inglis and Horner, felt that enough was enough. They petitioned the government for help finding the perpetrators of this crime spree. Accordingly, in January 1788 His Majesty's representatives not only issued a £150 reward for any information leading to the arrest and conviction of the miscreants, but they promised immunity to any accomplices willing to grass on their confederates. It was this last detail that would prove to be the Deacon's undoing. Shortly before the government's announcement, Brodie found himself in an unrelated dispute. In one of their favorite taverns, he joined Smith and Ainslie in luring another patron into a game of hazard. By means of some loaded dice, they managed to relieve their pigeon of six guineas. Unfortunately for them, their victim soon detected the fraud, and he filed a complaint with the town magistrates. Brodie and his confederates responded by claiming that they knew nothing about the dice, which was, they alleged, provided by the tavern-keeper. Curiously, the matter appears to have been dropped without any permanent stain to the Deacon's respectable facade. Unfortunately, Brodie did not take this narrow escape as a warning to mend his ways. Instead, he made plans for his criminal crew to take on their most ambitious job to date: the robbing of Scotland's General Excise House, where all the country's tax revenues were stored. The gang planned their raid carefully. Brodie made some excuse for visiting the office, where he made a careful survey of the place. Then, he made another visit in the company of Smith. While Brodie distracted the cashier, his locksmith confederate made an impression of the office key. Ainslie got the job of recording the movements of the watchmen, which enabled him to learn that between 8 p.m., when the Excise House closed for the day, and 10 p.m., when the first watchmen came on duty, the office was unguarded. The big day was set for March 5, 1788. Before hand, the crew met for dinner in Smith's lodgings. Brodie appeared dressed in black and sporting a jaunty cocked hat He greeted his confederates by dramatically singing the "Rogues' March" from "The Beggar's Opera." Regretfully, his colleagues were not amused. The foursome had already decided on their individual roles for the night: Ainslie would go first, to make sure the coast was clear. Then would come Smith with the duplicate key he had made. Brodie would come next, armed with a pistol, and then finally Brown with the necessary tools. When they reached the Excise House, Smith easily unlocked the door, and then he and Brown broke into the cashier's room. Everything was going according to plan, when an unexpected disaster occurred: An employee of the Excise House, a Mr. Bonar, realized he had left certain important papers in his office, and he returned right in the middle of the robbery to collect them. When Brodie saw Bonar arrive, he panicked and made a cowardly flight for safety. Bonar saw the Deacon leave, but in the darkness, assumed he was simply a fellow employee. He collected his papers and left. Meanwhile, Smith and Brown were discovering, much to their disgust, that the cashier's desk contained nothing more than sixteen pounds. They collected this pitiful sum--a disheartening reward for their labors--and left. They did not find out until much, much later that the desk had a secret drawer which held over six hundred pounds sterling. The following morning, the confederates split these pitiful wages of sin, and went their separate ways. Brodie went about his normal business, while Smith and Ainslie made plans to flee to Newcastle. Brown, however, had secret plans of his own. He was so dissatisfied with the results of the robbery that he decided to cash in on that reward and free pardon offered by the government. He was already wanted on an old charge of having murdered an innkeeper, and saw this as the perfect chance to avoid punishment for all his crimes, past and present. Besides, he was carrying a grudge against Brodie for the way the latter had so cravenly abandoned his associates. Proving the old adage about there being no honor among thieves, Brown went straight to the Procurator-Fiscal (the Scottish equivalent of public prosecutor) and told all. Well, almost all. He omitted Brodie's name from his recital, probably, as crime historian William Roughead theorized, with the intention of netting additional funds by blackmailing the Deacon. On March 8, Smith and Ainslie were arrested. When Brodie heard the news, he again showed a total loss of nerve unbecoming in a would-be Robber King, and quickly fled Edinburgh. This act of cowardice proved to be his last, great mistake. When Smith and Ainslie heard their chief had done a runner, they decided there was nothing for it but to confess completely, and unlike Brown, they had no hesitation in naming Deacon Brodie as their ringleader. A reward of £ 200 was immediately issued for Brodie's capture, along with minute--and, in their subject's eyes, immensely insulting--details of the fugitive's appearance. After seeing a copy of the "wanted" notice describing him as "about five feet four inches...a cast with his eye...a sallow complexion--a particular motion with his mouth and lips when he speaks, which he does full and slow, his mouth being commonly open at the time and his tongue doubling up as it were, shews itself towards the roof of his mouth...moves in a proud, swaggering sort of style..." Brodie put the blame on the faithless Brown. "I can see some strokes of his pencil in my portrait," he grumbled. "May God forgive him for all his crimes and falsehoods!" Brodie made it to London, where he arranged to sail to Flanders under the name of "John Dixon." Unfortunately for him, his ship encountered bad weather and had to retreat to the port at Flushing. "Dixon" then hired a skiff to take him to Ostend. Before leaving, he entrusted two fellow-passengers he had befriended, a couple named Geddes, with the delivery of three letters to Edinburgh. Two were addressed to friends of Brodie's, and the third to his mistress Anne Grant. However, soon after they had parted company, Mr. Geddes read the description of Brodie in a Leith newspaper, and immediately recognized his new friend "John Dixon." He opened the letters Brodie had so stupidly given him, and the contents confirmed his identity. Geddes went to the authorities, with the result that Brodie was soon traced to Amsterdam, where he was captured and extradited back to Edinburgh. Smith and Brodie stood trial on August 27, 1788. The Deacon made a dashing appearance in "a new dark-blue coat, a fashionable fancy waistcoat, black satin breeches, and white silk stockings...his hair fully dressed and powdered." His companion in the dock, by contrast, was "but poorly clothed." Brown and Ainslie told their stories of the robbery, but perhaps the most compelling evidence against Brodie were the letters he had entrusted to Geddes. They gave the whole story of the Excise House job and his own lead role in "the dreadful subject." The defense was unable to offer any evidence in Smith's favor, and all they could do for Brodie was to produce his brother-in-law, a Matthew Sheriff, as well as Jean Watt. Sheriff stated that he had dinner with Brodie the evening of the Excise House robbery, while Watt claimed the Deacon had spent the night at her house. These alibis were not seen as convincing. The next day, the jury found both the defendants guilty, and the judge pronounced the sentence of death. The hangings were set for October 1. While awaiting execution, Brodie kept up his spirits by efforts to have his sentence commuted to transportation. When this failed, he turned to a scheme for cheating death. He made arrangements that immediately after he was hanged, his friends would rush him to a surgeon who would, he hoped, manage to revive him. He spent the night before his execution entertaining his fellow prisoners with selections from "The Beggar's Opera." Brodie's Macheath-like bravado continued as he made his way to the gallows. When one of the Magistrates expressed sympathy for his plight, Brodie shrugged and replied, "What would you have? It is la fortune de la guerre." Smith, who was described as "highly penitential," was the first to hang. He died quietly and without incident. Brodie, on the other hand, mounted the gallows almost cheerfully. He requested that the hangman not bind his arms, and told a nearby friend to let the world know that he "died like a man." He was not even fazed by an unnerving accident. At the last minute, the executioner realized that his halter was too short, requiring the prisoner to come down from the platform while the necessary adjustments were made. Brodie observed nonchalantly that the gibbet was "a new construction, and wanted nothing but practice to make it complete." When he remounted the platform, it was discovered that the rope was still too short. At this second delay, the Deacon showed "some little impatience," and made a few derisive comments about his incompetent executioner. The third attempt to hang William Brodie was, at last, successful. It is doubtful if the Deacon would have gone to his death with such insouciance if he had known that attempts to revive him would prove unsuccessful. Although his body was smuggled to an obliging French surgeon to be bled, Brodie was fated to remain well and truly dead. Dead in body, at least, His spirit lives on in Edinburgh to this very day, where he is well remembered as one of Scotland's most popular rascals. His fame was made secure when Robert Louis Stevenson--whose father had owned furniture made by Brodie--was inspired by the Deacon's strange double life to write the classic novel "Dr. Jekyll and Mr. Hyde." Hyde may not be as flattering a character as Macheath, but he certainly proved to be a more enduring one. For the month of December, our Link Dump will be sponsored by the Cats of Christmas! What the hell was the Star of Bethlehem? What the hell were the Palatine Lights? What the hell are the Min Min Lights? What the hell is the Swedish Atlantis? What the hell is the Voynich Manuscript? Now we know! It's a calendar! What the hell happened to the Holy Grail? What the hell happened to this Irish village? Who the hell poisoned the Goebbels children? Why the hell do people put pineapples outside their door? Watch out for those malevolent Aztec gods! Watch out for those haunted TVs! Watch out for those Devil Chains! Watch out for the Shutterkin! The princess and the gypsies. More from the "pushing back human technology" file. Some helpful tips if you're planning to take up bodysnatching as a career. An interesting peek at social history: 14th century "proofs of age." No question, my favorite link of the week: That time Queen Victoria went all King Herod. The ghosts of Shrewsbury prison. A "lost" ghost story written by H.G. Wells has just been published. Voices of the Barbary Coast. Food of the California Gold Rush. The sole American killed in the 1814 burning of Washington. A new look at Rasputin. It used to be great entertainment to watch royals eat. Dickens and the flea-ridden dog. How the tango was nearly destroyed. The fine art of 18th century salads. Along that same theme, here's a look at medieval royal feasts. The temple of lucky cats. A disturbing tale of "organ harvesting." Corpse bread fishing and the dangers of palm-reading. Tales from the Parish Register. The dark side of Regency-era Bath. Hey, let's nuke a hurricane! What could go wrong? The mystery of our underground oceans. When snuff was good for whatever ailed you. Dorothy Kilgallen and the JFK Assassination. The "Six Wives" in the archives. A scandalous royal marriage. Not that there were any shortage of those. More on the alleged "Bosnian Pyramid." The world's largest pyramid is in hiding in Mexico. The man who sees UFOs. If you've been dying to know what a pound of snuff cost in 1836, today is your lucky day. If you've been dying for a recipe for pickled purslane, step right up. The sad fate of Barnardo's children. The Grinch who stole Henry VIII's Christmas. The curious case of the Wollaton Park Gnomes. The curious case of the coffins in Edward IV's tomb. A famed French salon hostess. A surprise at Sutton Hoo. The ghosts and witches of Joseph Glanvill. The legend of the haunted apples. Charles Dickens' uh, unusual way of memorializing his cat. 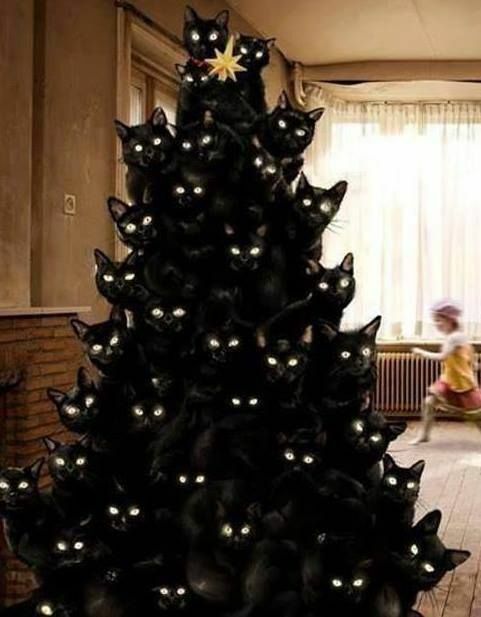 A Fortean tree of lights. A case of a bleeding corpse. The execution of a figure in the Edmund Berry Godfrey mystery. A telepathic tribe in the Amazon. Always room in the Link Dump for stories about stolen mummy hands. Not to mention stories about mystical hermits. Or mysterious green children. Or people killed by corpses. The market cat of Spitalfields. That time a miner captured the Devil. An interview with the author of "Gods of Eden." Language falls into a cycle. The traveling corpses of Wurzburg. All you need to know about the Dogs of the Titanic. This week's Advice From Thomas Morris: What not to do with a piece of wood. Also: Don't laugh at snakes. And think twice about buying second-hand boots. Uncovering the sad end of a 19th century supermodel. A bloody ax provides clues about human history. A mammoth skeleton provides clues about human history. That wraps it up for this week. See you on Monday, when we'll visit one of Scotland's most beloved villains. In the meantime, here's some Tennessee Ernie Ford. Because, damn it, I like Tennessee Ernie Ford.